"The application by a taxable person of goods forming part of his business assets for his private use or that of his staff, or the disposal thereof free of charge or more generally their application for purposes other than those of his business, where the value added tax on the goods in question or the component parts thereof was wholly or partly deductible, shall be treated as supplies made for consideration. However, applications for the giving of samples or the making of gifts of small value for the purposes of the taxable person’s business shall not be so treated". In brief EMI, a company engaged in music publishing and in the production and sale of recorded music, distributed free copies of music recordings on vinyl records, cassette tape and compact discs to various persons in order to promote newly released music. EMI maintained that such distribution was necessary for its business, since it enabled the company to assess the commercial quality of a recording as well as its viability in the marketplace. Part of its promotion strategy was to distribute CDs to individuals who were in a position to influence consumer behaviour (such as individuals working in the press, radio stations, television programmes, advertising agencies, retail outlets and cinemas), and to 'pluggers' -- music promoters who distribute CDs to their own contacts. 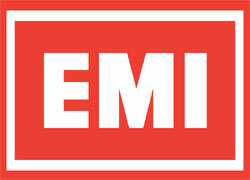 EMI hired both internal pluggers and external pluggers on the basis of their expertise or success in promoting recordings. For those purposes, EMI supplies recorded music in different forms: ‘watermarked’ compact disc recordables (‘CDRs’) bearing the name of the recipient and allowing any copies made to be traced back to the recipient; un‑watermarked CDRs supplied in a white cardboard sleeve; ‘sampler’ CDs supplied in a cardboard sleeve bearing the same artwork as on the finished album; or ‘finished stock’ CDs in their definitive form ready for sale to the public. The latter bore a sticker stating ‘Promotional Copy Not For Resale’; the others stated that ownership and title remained vested in Virgin Records Limited, a subsidiary recording label of EMI. The ‘finished stock’ was given to artists, their management and publishers, agents and any other media contacts whom EMI felt it necessary to have the finished product. Around 90% of promotional CDs were sent to named individuals, with some recordings also being sent individually to more than one person working for a single organisation. For any given single release, around 2,500 free copies were distributed (3,000 to 3,750 for albums). A single plugger might receive up to 600 free recordings for onward distribution. These figures are trivial, given that a top-selling CD album may sell millions of copies. ‘(a) How is the last sentence of Article 5(6) of the Sixth Directive to be interpreted in the context of the circumstances of the present case? (b) In particular, what are the essential characteristics of a “sample” within the meaning of the last sentence of Article 5(6) of the Sixth Directive? (ii) only one, or only the first of a number of samples given by the same person to the same recipient where those samples are identical or do not differ in any material respect from each other (from 1993)? (ii) any business gifts made to the same person in any [twelve] month period where the total cost exceeds £50 (October 2003 onwards)? (e) If the answer to question (c)(ii) above or any part of question (d) above is “yes”, where a taxable person gives a similar or identical gift of recorded music to two or more different individuals because of their personal qualities in being able to influence the level of exposure the artist in question receives, is the Member State permitted to treat those items as given to the same person solely because those individuals are employed by the same person? – of one or several items of goods that serve as examples of that product by retaining all the essential properties of the product as to its quality and characteristics, and thus enabling the recipient, his customers, or others receiving communications from the recipient to assess or test the nature, properties, and quality of the product. (2) Member States may fix a ceiling for the monetary value of a ‘gift of small value’ referred to in the second sentence of Article 5(6) of Sixth Council Directive 77/388, taking into account the general price and income level and other economic circumstances of that Member State, provided that the ceiling is not so low as to make Article 5(6) meaningless or inapplicable, or so high as to deviate from what ‘small value’ might be understood to mean in common language, and if individual exceptions to the ceiling may be allowed in circumstances where that is justified by objective reasons. Applications for the making of gifts of small value in that provision means individual supplies by a taxable person. The Member States may not apply the ceilings referred to above cumulatively to several gifts made during a defined period of time. (3) It is for the national court to determine who the recipient of an application within the meaning of the second sentence of Article 5(6) of the Sixth Council Directive 77/388 is, having regard to all the circumstances of the specific case. With regard to the VAT treatment of an application under the second sentence of Article 5(6) of this directive it is irrelevant whether or not the recipient of the application is entitled to deduct input tax". "98. While the prevention of tax evasion is an objective recognised and encouraged by the Sixth VAT Directive, and while Member States have legitimate interests in taking steps to prevent possible tax evasion, the United Kingdom has not provided any evidence to suggest that there is a real risk of tax evasion here. 99. For my part, I do not think that such a risk seriously arises in relation to ‘applications for the making of gifts of small value’ for business purposes, unlike the obvious risk of tax evasion in situations covered by the first sentence of Article 5(6) of the Sixth VAT Directive. 100. In the context of cumulative gifts in progressive inheritance taxation or progressive stamp duties applicable to transfers of real property, for example, it is important to take into account all transactions during a defined period, since there is an incentive to circumvent the progressive effect of tax by dividing a large transaction into a series of smaller ones. In the VAT context, however, such a cumulative approach has no support in the text of the second sentence of Article 5(6) of the Sixth VAT Directive. It would also make the VAT status of an application dependent on other earlier or later applications as, for example, the VAT status of a gift under the set limit would change afterwards if the recipient received another gift from the same taxable person, raising the combined value of the two gifts over this threshold. This would be contrary to the idea that each VAT transaction should be treated on its own merits and not altered by earlier or subsequent events. 101. I do not see any danger of taxable persons making gifts in unjustified amounts if they genuinely act for business purposes. The general rules and principles concerning fiscal control, abuse of law and tax evasion are sufficient to overcome attempts to circumvent the requirement of ‘small value’ for VAT exempt gifts. 102. A literal application of cumulative ceilings would require that taxable persons keep records of who they give gifts to. In my view, this goes beyond the invoicing and accounting requirements set out in the Sixth VAT Directive. In addition, it would be too burdensome if taxable persons were required to remember the person to whom they gave calendars, pens with logos, or other similar gifts".